Sir John Manduell died on Wednesday, 25th October 2017, aged 89. It has brought to an end a gigantic presence in the world of music for even though he had been unable to take an active part for several years, he accomplished much in terms of guidance for all those - and there were many - he cared about. He particularly had an affection for The Bromsgrove which he served so loyally first as Chairman of the Adjudicators and latterly as our first President. We have lost a great supporter and benefactor who will always be remembered with affection by all those who had contact with him. 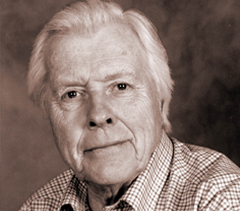 John Manduell, composer and music director, was born in 1928 in Johannesburg. He studied both in Europe and England; at the University of Strasbourg, Jesus College, Cambridge and then at the Royal Academy of Music where he studied under Lennox Berkeley. In the late 1950’s he became a producer for the BBC. Within five years he had risen to become Head of Music for the Midlands and East Anglia. He later left the BBC to become Programme Director for the Cheltenham Festival. This prestigious post he held amongst others for the next twenty five years. His many compositions include chamber as well as orchestral works some of which like the string quartet ‘Prayers from the Ark’ were commissioned by the Cardiff Festival. The Halle Orchestra and Kent Nagano commissioned his ‘Vistas’. Amongst his later appointments he became an influential Principal of the Royal Northern College of Music until his retirement in 1996. 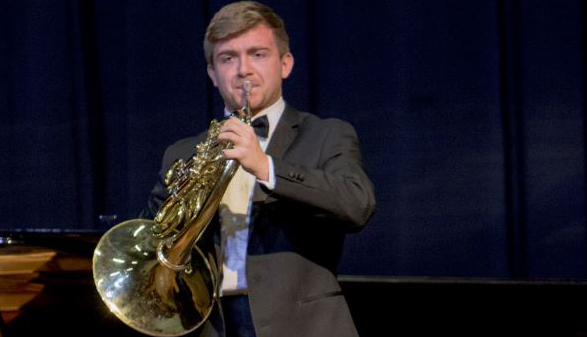 He has also been President of the European Association of Conservatoires, President of the National Association of Youth Orchestras and President of the British Arts Festival Association. He received the CBE in 1982 and was knighted in 1989. Sir John acted as Chairman of the Adjudicators of the Bromsgrove International Young Musicians’ Platform from 1992 to 2004. In 2013 he became President of the present Competition, and continued until he retired in 2015. In 2014 he suggested that a prize for the best performance of a modern piece of music be awarded, and it is called the Sir John Manduell Prize in his honour.